PRESIDENT Emmerson Mnangagwa has denied approaching his Chinese counterpart Xi Jinping asking for a US$2 billion bailout package on the sidelines of the Forum on China-Africa Co-operation (Focac) in Beijing last September. This follows reports that he had tabled a request for the critically needed bailout package in a desperate bid to ease the country’s crippling liquidity crisis because the Chinese government had insisted that Zimbabwe clear its arrears with the world’s second largest economy. For some time, Harare has for some time been engaging British multinational bank Standard Chartered Plc and other institutions to help raise US$1,8 billion to clear arrears to multi-lateral institutions under the Lima Plan, to enable the country to secure US$2 billion in fresh funding. 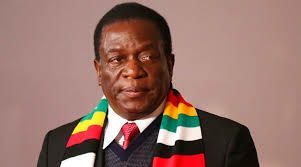 Mnangagwa also denied his government had turned to neighbouring South Africa for an alternative source of funding to the tune of US$1,2 billion. What government was looking for, he said, were investments as well as lines of credit, and not a bailout package. Bailout is a general term for extending financial support to a country or company facing a potential bankruptcy threat. It can take the form of loans, cash, bonds, or stock purchases. A bailout may or may not require reimbursement and is often accompanied by greater government oversee and regulations. The government or the financing body places strict requirements such as restructuring of the organisation, change of management and in some cases a cap on salaries of executives until a stipulated time period or the repayment of dues. This may also be followed by a temporary relaxation of rules that may impact the accounts of the rescued country or entity. “I have never asked for a bailout package. I read it in the newspapers. We want investments, not a bailout package. We need investments where it is a win-win situation. Investors come and put their money and make profits while we have development in the country. So we never asked for a bailout package,” Mnangagwa said during an interview with journalists from the private press at State House in Harare on Wednesday night. “So we never asked for a bailout package from China, but we sought investments and we have succeeded in that regard,” he said. He was hopeful for a line of credit from South Africa. “We started engaging South Africa earlier this year when we had the cooking oil shortage. We have the Nepad (New Partnership for Africa’s Development) fund which is structured to assist member states who find themselves having problems and it is administered by South Africa. So you can apply to the fund there for a line of credit to be advanced to you and you will pay back later. You can apply to that fund to be assisted to deal with the challenges you are facing. That fund has been put there for that purpose. So it is on those bases that we contacted South Africa,” Mnangagwa said. He said they realised during the negotiations for Nepad funds that it would take a long time before the funds can be disbursed so they asked for South Africa’s assistance instead. “With regards to the Nepad fund, South Africa has no final say. It has to go to a committee which will look at it and it would take a lot of time. Then because of the nature of relations between us and South Africa, we said to South Africa can you give us lines of credit. So this is why discussions between the South African minister of finance, our own finance minister (Professor Mthuli Ncube) and the governor of Reserve Bank of Zimbabwe started,” Mnangagwa said. “Talks are therefore underway for a line of credit from South Africa. Botswana has also given us a line of credit worth 70 million pula (US$6,7 million). What it means is that Zimbabwean businesses can get goods from those two countries worth that amount. We are then given a grace period and then we could be able to repay the credit within an agreed period of time, say two or five years. It is different from a bailout package in that it does not come with certain conditions attached to it,” Mnangagwa said. Zimbabwe is currently struggling to clinch bilateral lending agreements because of its high level of indebtedness.